This Communion invitation is chic and stylish, yet still formal enough for this important life event. 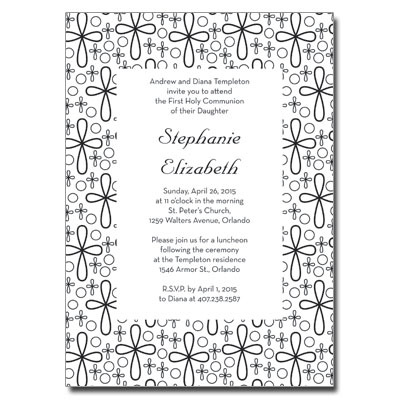 A pattern of looped black crosses graces the background of this invitation, with event information printed in black above. Card measures 5x7.